Suiran is a fine luxury hotel with a superb location in Arashiyama, overlooking the Hozu-gawa River. It offers spacious and well-equipped rooms and excellent views. 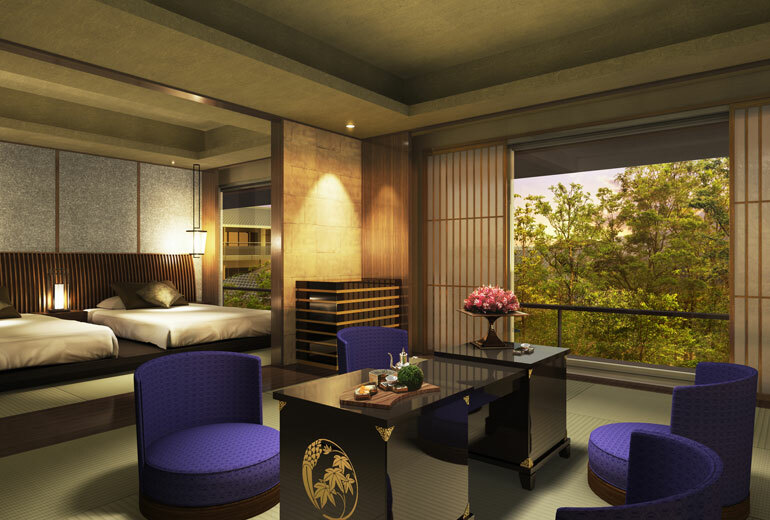 Converted from a graceful old ryokan, Suiran is a modern luxury hotel with lots of Japanese touches. It is built on the banks of the Hozu-gawa River and offers greenery-filled views from many of its rooms. 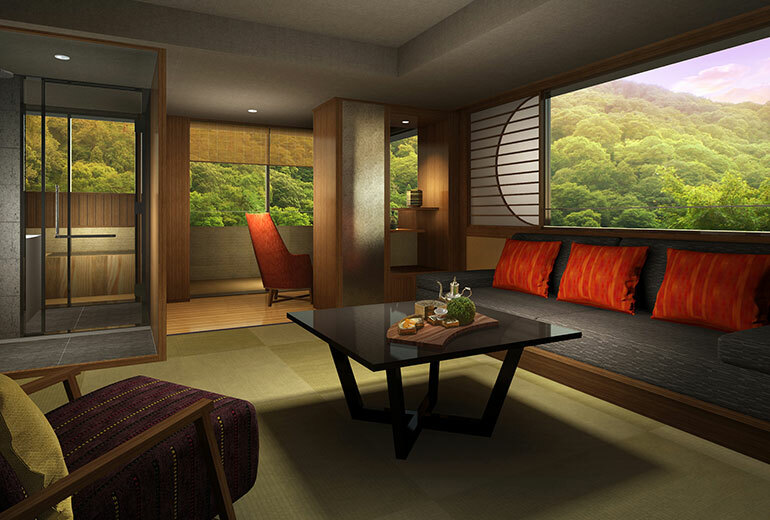 The rooms are more spacious than most hotels in Kyoto and are conducive to lazy relaxation, especially the three suite rooms, which have private outdoor baths with mind-blowing views of the nearby mountains. For people who want to be close to the action in downtown Kyoto, this hotel is not ideal. But, for those who want a feeling of escape and plenty of opportunities to stroll in lovely surroundings, the Suiran is highly recommended. And, it’s really only a 20-minute taxi ride to downtown. For more on the Suiran, see my Suiran: First Impressions post. :: Check availability and pricing for Suiran on Booking.com or Agoda.com.